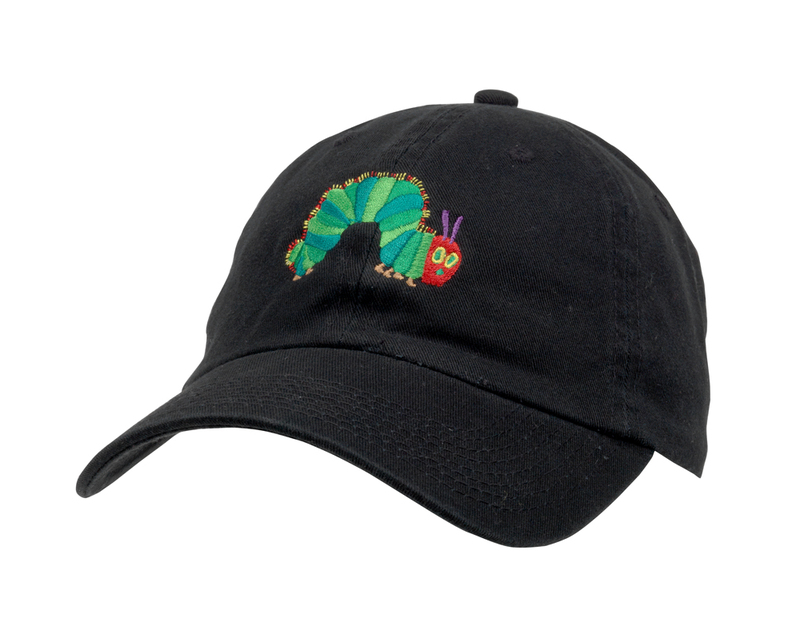 Black cotton baseball hat with the Very Hungry Caterpillar image on front and "Eric Carle Museum" text on back and adjustable fabric strap. One size fits all adults. Natural 100% cotton tote bag featuring Eric Carle's The Very Hungry Caterpillar. Bag measures approximately 14" x 16", making it the perfect size for carrying your books! Can be carried by hand or over the shoulder. USA Exclusive! This Eric Carle Bunting Kit is imported exlusively to The Eric Carle Museum of Picture Book Art from the United Kingdom. Acrylic key ring featuring image of Eric Carle's The Very Hungry Caterpillar. 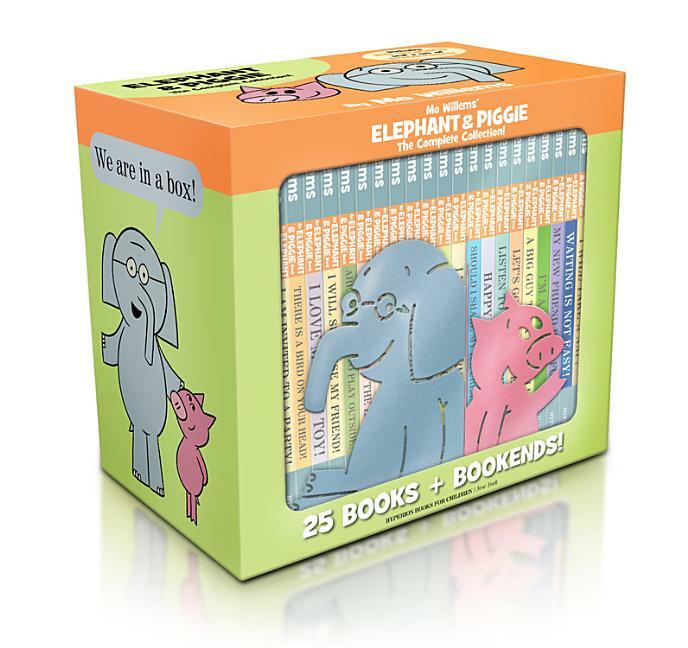 Read all of Elephant & Piggie's funny adventures with the complete collection of all 25 titles. 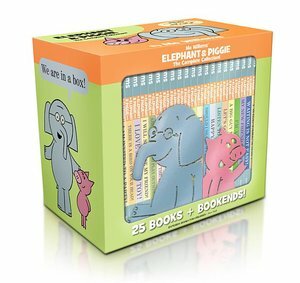 Create an instant Elephant & Piggie library with the sturdy metallic Elephant & Piggie bookends included with each set. Mo Willems' number one New York Times best-selling Elephant & Piggie series has won two Theodor Seuss Geisel Awards and five Theodor Seuss Geisel Honors! 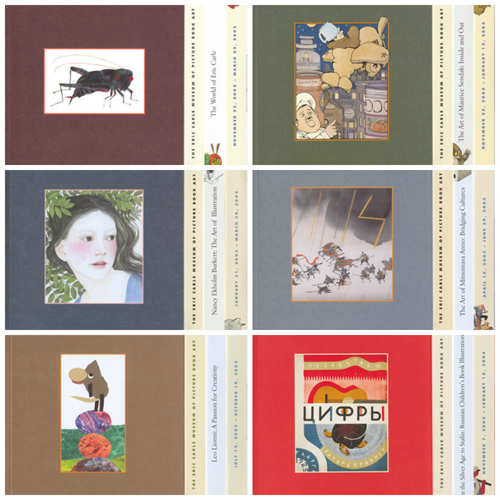 Collect them all in this deluxe box set. USA Exclusive! This wrapping paper has been imported exclusively for the Eric Carle Museum of Picture Book Art from Germany. Bright and cheerful double-sided wrapping paper featuring Eric Carle's coloful polka dots on one side and a brilliant solid blue on the other! 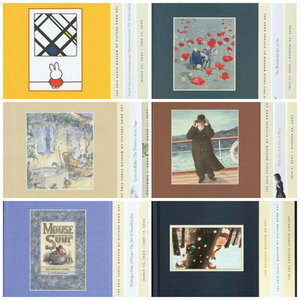 One sheet measures approximately 19" x 28" and ships rolled. 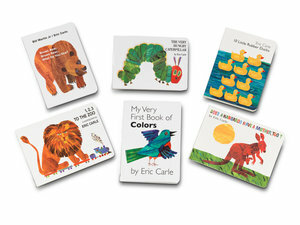 Save 58% with this pre-packaged bundle of exhibition catalogs from The Eric Carle Museum! Save 65% with this pre-packaged bundle of exhibition catalogs from The Eric Carle Museum! Save 70% with this pre-packaged bundle of exhibition catalogs from The Eric Carle Museum! 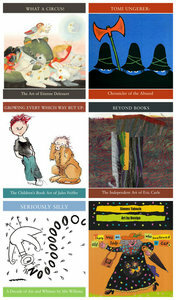 Save 67% with this pre-packaged bundle of exhibition catalogs from The Eric Carle Museum! 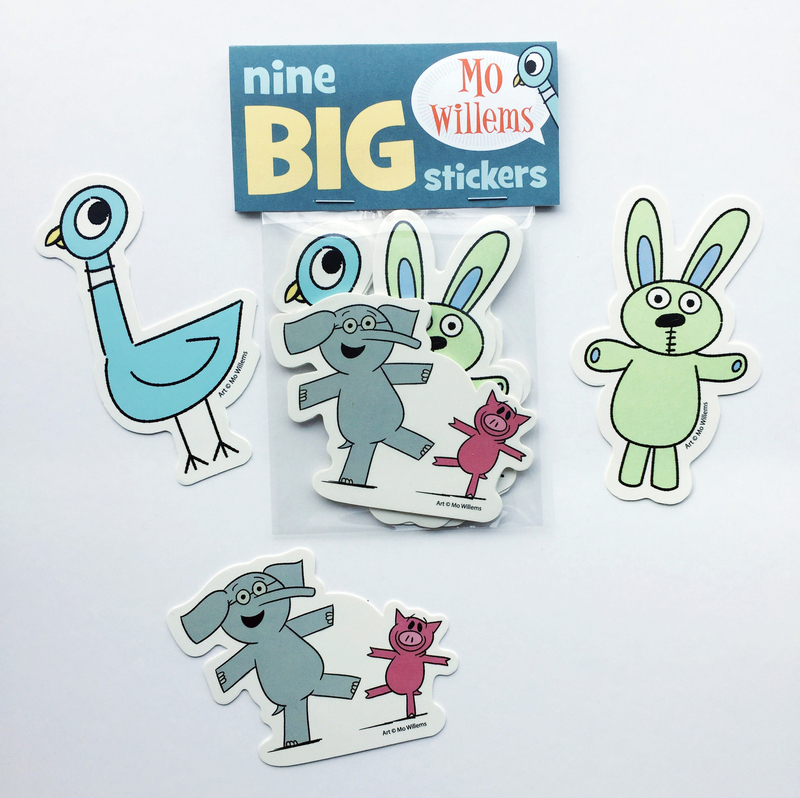 Set of 9 BIG Mo Willems stickers featuring your favorite characters! 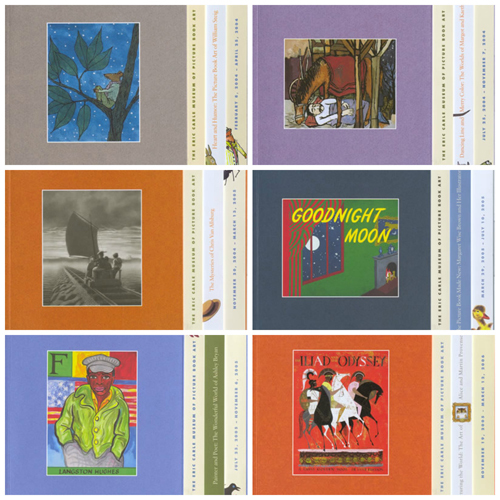 3 each of 3 designs - each measuring approximately 3" high. 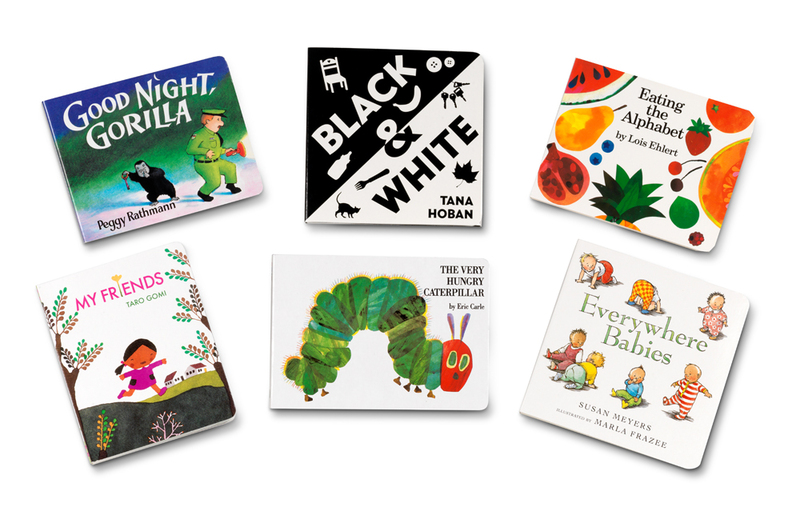 Includes: Pigeon, Knuffle Bunny and "ELEPHANT & PIGGIE". 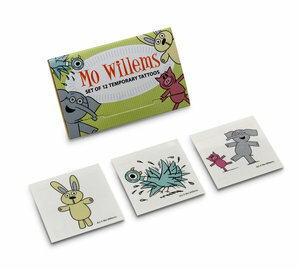 Perfect for party favors, classroom gifts and all sorts of fun!